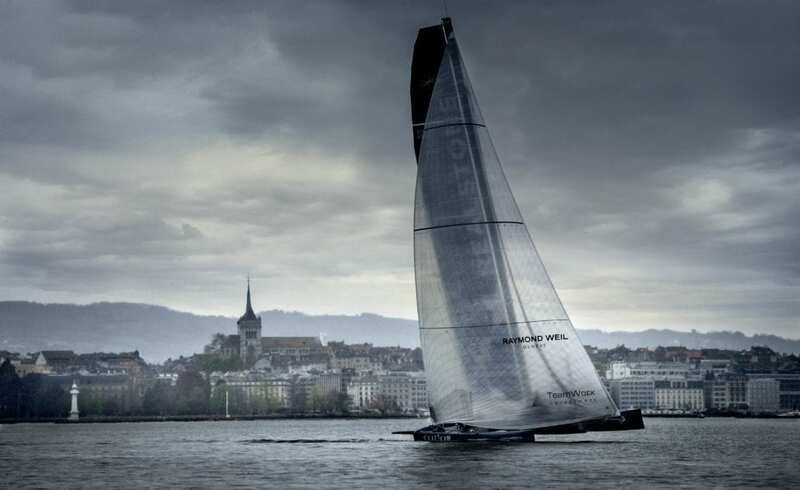 Swiss watchmaker RAYMOND WEIL is proud to be supporting the Realteam sailing team as its Official Timing Partner for the 2016 season of the D35 Trophy on Lake Geneva and the GC32 Racing Tour internationally. 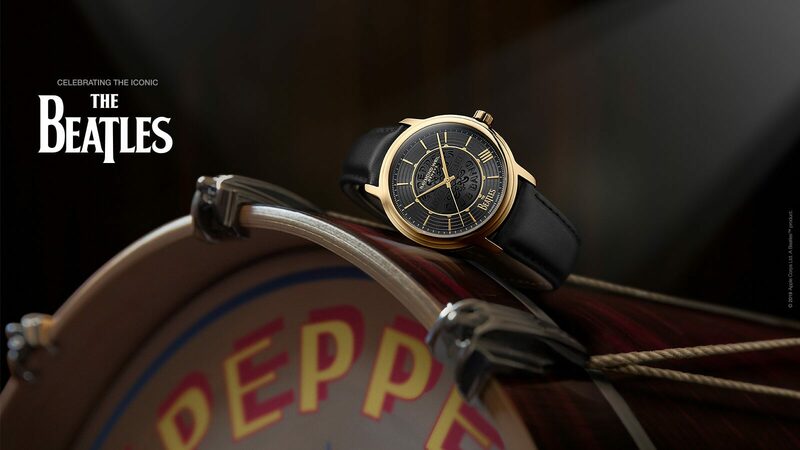 To mark the occasion, the Brand presents a new freelancer watch to accompany the crew throughout all of its adventures. 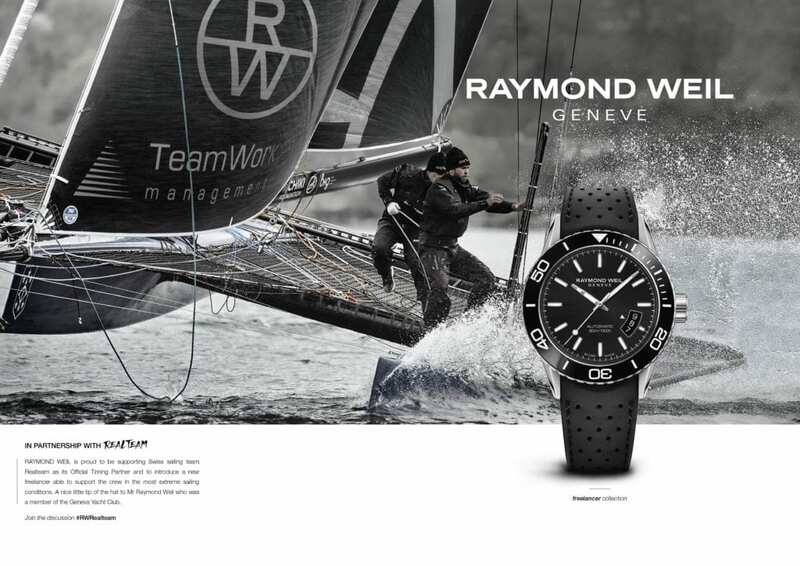 By partnering with this young, professional Swiss team, RAYMOND WEIL is paying tribute to its founder who was a member of the Geneva Yacht Club. 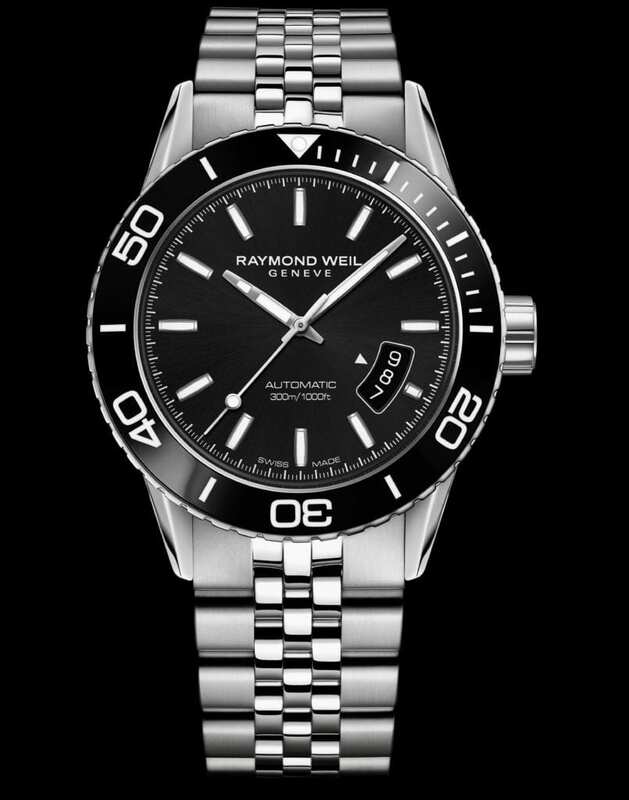 A nice little tip of the hat to Mr Raymond Weil who established the family-run company precisely 40 years ago. “Watchmaking and sailing share the same values and requirements, such as performance, precision and innovation. 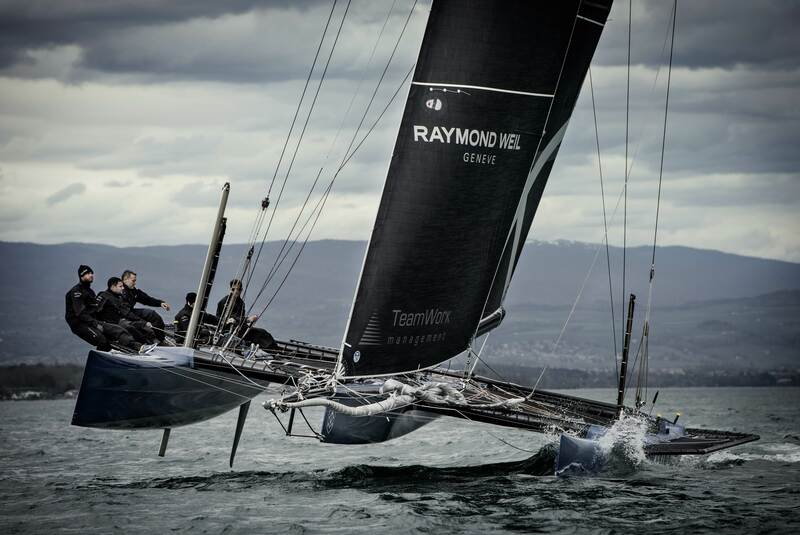 RAYMOND WEIL is delighted to be supporting this dynamic Swiss team boasting an impressive track record. Realteam perfectly embodies the team spirit, know-how and Swiss excellence that are key principles underpinning our Brand,” states Elie Bernheim, CEO of RAYMOND WEIL. 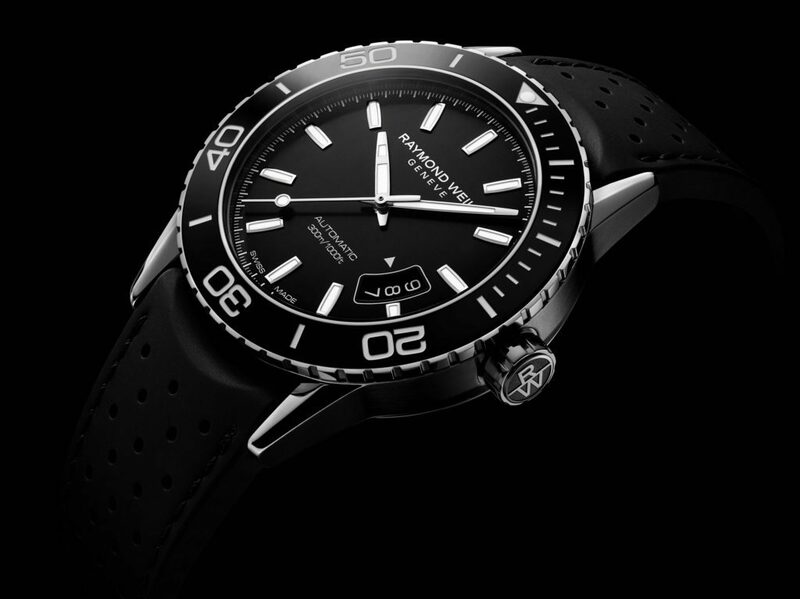 Created for this occasion, the powerful yet elegant freelancer has a 42.5mm diameter case, and is available in polished stainless steel or with a black PVD coating, echoing the aesthetics and dynamics of diving watches. 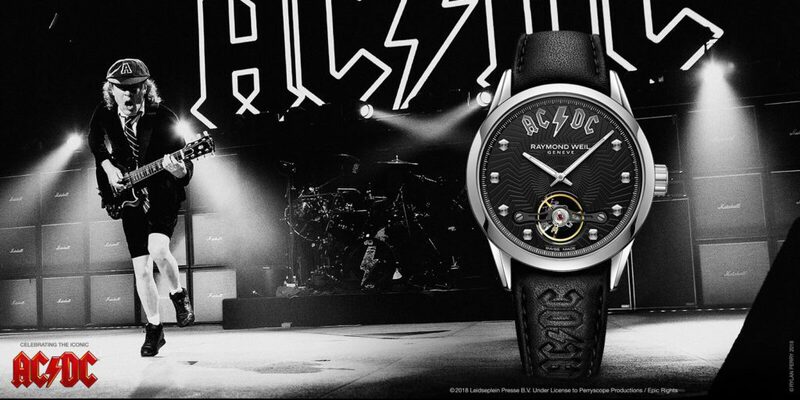 It has a unidirectional rotating bezel in black ceramic with white, green or orange graduation and a luminescent indicator, as well as a screwed-down crown. The addition of Super-Luminova® on the various key elements of the black dial ensures perfect readability. 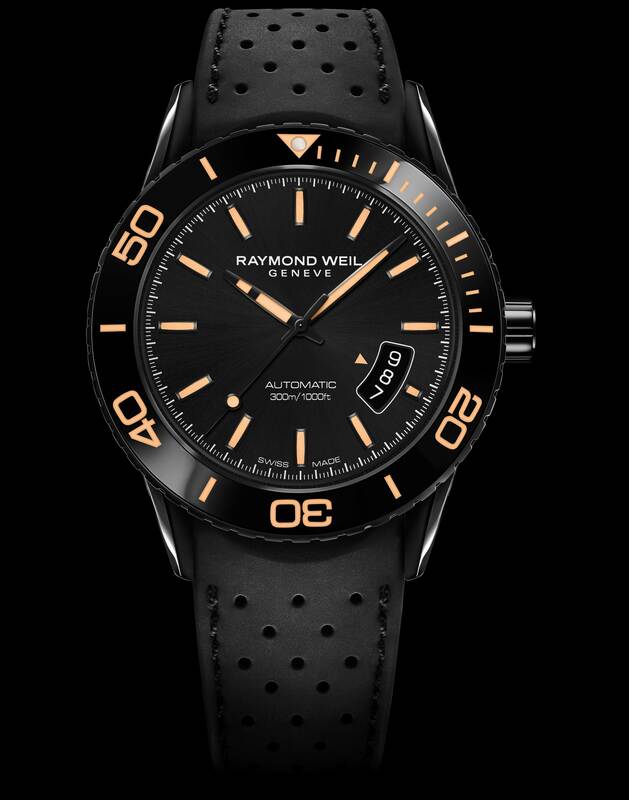 The folding clasp of the rubber watch strap with double push-security system and integrated steel diver extension allows for easy adjustment of the strap width. Water-resistant to a depth of 300m, this diving watch has successfully passed a full battery of tests, ensuring its resistance to impact, magnetic waves, pressure and temperature changes. 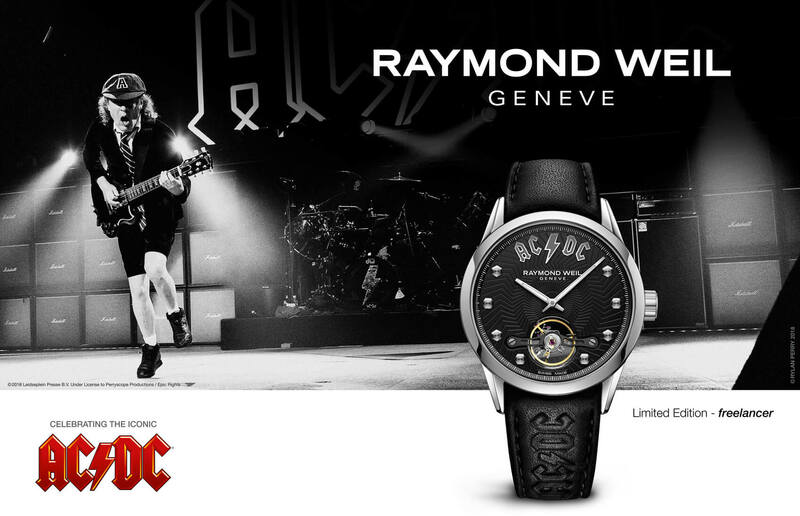 Its automatic winding mechanism has a 38-hour power reserve. 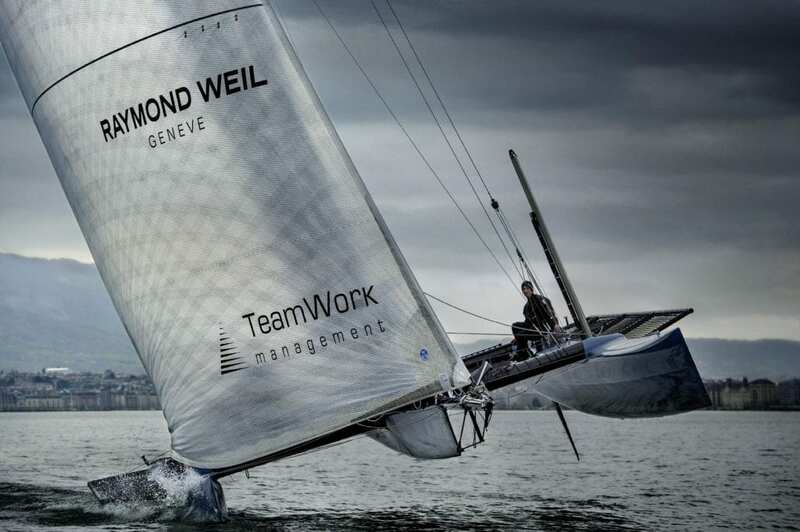 This new freelancer will also be able to support the Realteam crew in the most extreme sailing conditions.